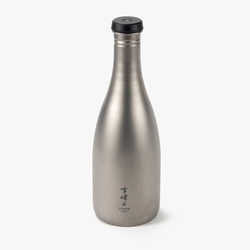 Snow Peak Titanium Sake Bottle. This beautifully designed single-walled bottle is made to chill your saké before serving. The simple elegant shape and pure titanium construction keeps any liquid stored safely.